Ted Steiner has been involved with avalanche safety and instructing avalanche safety courses since the mid 1980’s, working professionally as a ski patroller, forecaster, and avalanche educator. Currently, Ted is employed by Dave Hamre and Associates LLC, and working as an avalanche safety consultant with BNSF Railway in Essex, Montana. In the public avalanche safety arena, Ted has recently been involved with organizing and chairing the Northern Rockies Avalanche Safety Workshop and instructing avalanche safety courses with the Big Mountain Ski Patrol at Whitefish Mountain Resort. Ted holds the Canadian Avalanche Association’s Avalanche Operations Level III certification, and is a Certified American Avalanche Association Instructor. Erich is the Director of the Flathead Avalanche Center, the lead forecaster for the USGS/GNP Going-to-the-Sun Road Avalanche Program in Glacier National Park, and a Physical Scientist with the U.S. Geological Survey in West Glacier, MT. Before moving to northwest Montana, he completed his Masters of Science in Snow Science at Montana State University in Bozeman in 2009. He has presented at numerous International Snow Science Workshops and regional professional development workshops throughout western North America. Erich started his professional avalanche career working as a professional ski patroller alongside the great avalanche hunters at Alpine Meadows in Lake Tahoe, CA . He was also a lead instructor with Outward Bound in California and Colorado. Erich is a Certified Instructor and professional member with the American Avalanche Association and has completed an AIARE Level 3 Continuing Professional Development course. Adam discovered avalanches while climbing and skiing in northwest Montana as a teenager. Since then he has developed a keen interest for snow and a lifelong passion for the mountains. Now he works as an avalanche specialist for the Burlington Northern/Santa Fe Railroad and spends his time hunting avalanches in Glacier National Park, MT. The rest of the year he is employed as a glacier researcher for the U.S. Geological Survey and as a climbing guide for International Mountain Guides. 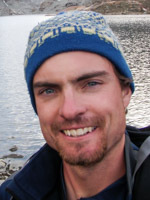 Adam is a professional member of the American Avalanche and the American Mountain Guides Associations. He holds an American Avalanche Level 3 certification, a MS degree in glaciology from the University of Montana, and spent two seasons ski patrolling at Whitefish Mountain Resort. Born and raised in the Flathead Valley, Jenny has spent the last decade teaching ecology, outdoor medicine, and avalanche educations courses throughout northwest Montana and western Washington. Whether through working as a patroller at Whitefish Mountain Resort, teaching in the Flathead National Forest’s winter safety and avalanche program, or writing and instructing avalanche courses for Western Washington University students, Jenny has followed her passion for snow and education. She has an Avalanche Level 2 and a Masters of Environmental Education and is incredibly thankful for any day spent teaching or playing in the snow. Lloyd is a recent transplant to the Flathead Valley from the northern mountains of Colorado, where he spent the last two decades working and playing in the snow. He didn’t waste a moment when his ski boots hit the ground in Montana, working as a lead guide for Great Northern Powder Guides before coming on full time to the Whitefish Mountain Ski Patrol. 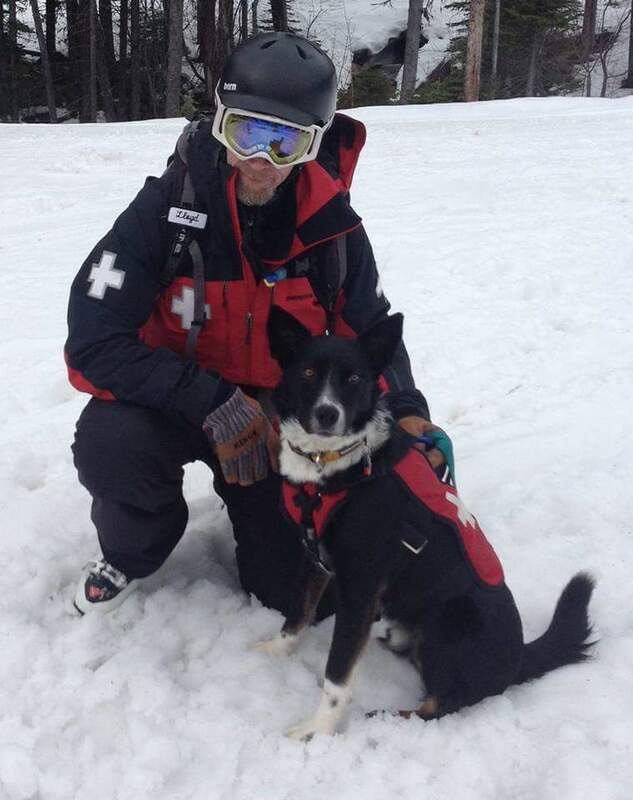 Lloyd was a professional ski patroller for 15 years at Keystone Resort and Arapahoe Basin, serving as an avalanche technician, forecaster and snow safety supervisor.While at Keystone, Lloyd developed and taught an Introduction to Avalanche Course through the resort cat ski program and trained avalanche rescue dogs for 12 years. He has an AIARE level II certification and is a professional member of the American Avalanche Association. Lynne Wolfe is a long-time resident of the Greater Yellowstone Ecosystem. She is editor of The Avalanche Review, a publication of the American Avalanche Association, and is also a AAA Certified Avalanche Instructor. 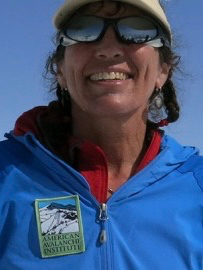 She has taught avalanche courses for schools such as AAI, Prescott College, Jackson Hole Mountain Guides, Friends of the Utah Avalanche Center, Silverton Avalanche School, NOLS, Yostmark Backcountry, and Babes in the Backcountry. 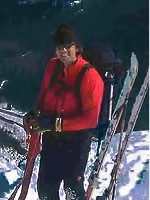 In the summer she is a guide for Exum Mountain Guides in the Tetons. 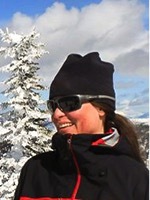 She most enjoys helping avalanche course students translate snow theory into making better decisions in the backcountry.